When will be My Flippin' Friends next episode air date? Is My Flippin' Friends renewed or cancelled? Where to countdown My Flippin' Friends air dates? Is My Flippin' Friends worth watching? 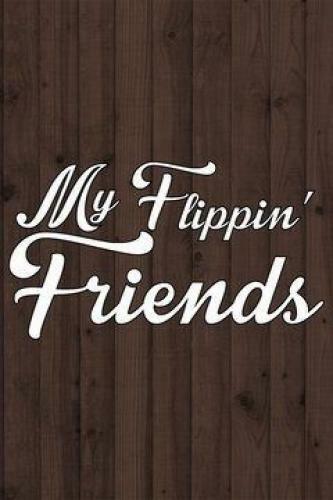 In My Flippin' Friends, Jenni Radosevich moves back to her hometown of Milwaukee and joins forces with her best friends to flip historic homes in their old neighborhoods. Between their combined real estate expertise and the exploding housing market, these millennials are replanting their Wisconsin roots one stunning house at a time. Five friends pool their money to buy and flip an old Colonial riddled with bugs, rot and rodent damage as they combine expertise in real estate, construction and DIY design. My Flippin' Friends next episode air date provides TVMaze for you. EpisoDate.com is your TV show guide to Countdown My Flippin' Friends Episode Air Dates and to stay in touch with My Flippin' Friends next episode Air Date and your others favorite TV Shows. Add the shows you like to a "Watchlist" and let the site take it from there.